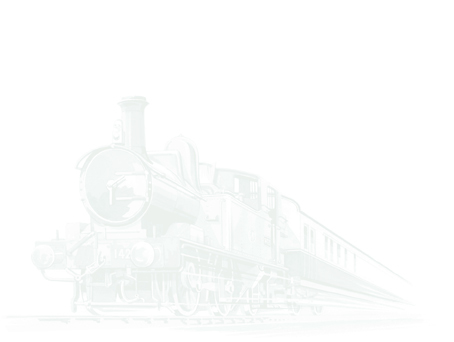 3803 has returned to traffic after the glitch with its loose wheel. Thanks to prompt work by Ian Riley Engineering at Bury the repair was quickly effected and the wheel sent back to Buckfastleigh last week. South Devon Railway workshop staff have refitted the axle with no delay and the engine was tested over the weekend and pronounced fit. 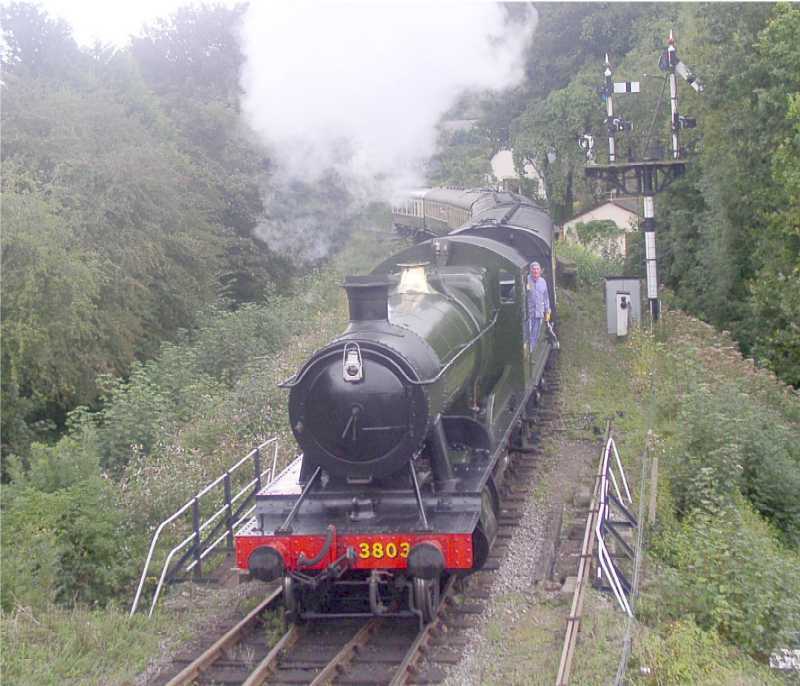 The two pictures show the engine arriving at the head of the 11.30am train from Totnes on Wednesday 13th September and the second picture the end of the axle that has been repaired. 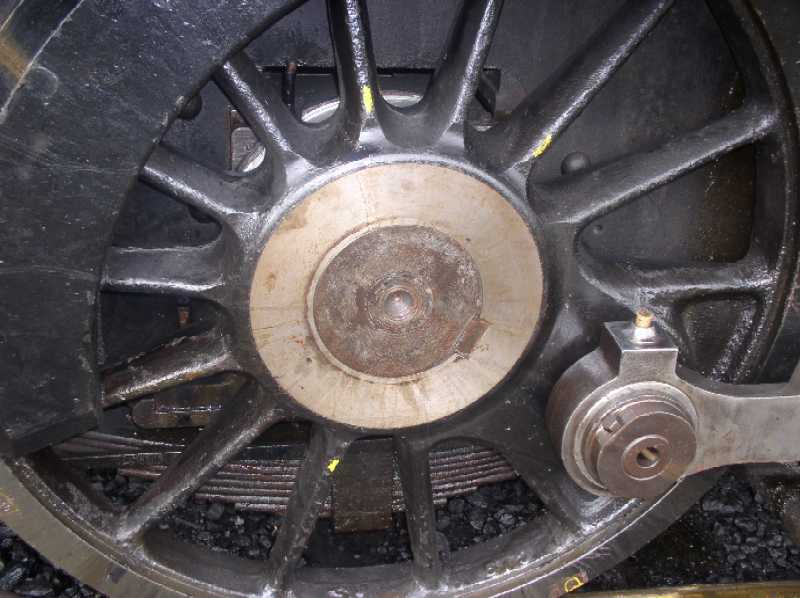 The repair, a well documented method from steam days, involved remachining the end of the axle to the correct taper, building up the the inside of the wheel boss by welding, boring it to the correct dimension and repressing the wheel on to the axle. 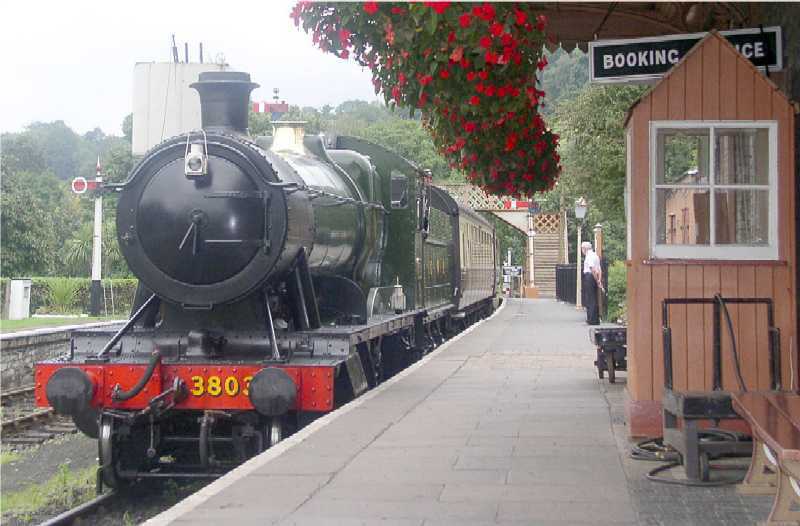 Locomotive 3803 arrives back at Buckfastleigh on her first day back in service.